Technically, Arsenal are still in the race to be crowned Premier League champions. Technically, the Tottenham area of London could become a centre of learning to rival Alexandria of antiquity. But I think we all know that Arsenal will not be lifting a 14th League Championship Title this May… and that N17 will ever remain a sinkhole of ignorance and moral decrepitude. So if not us, who? Who would you prefer to win the title in the absence of our goodly selves? This theme has been discussed on and off in the comments section of the blog over the last week or so (in particular since we effectively bowed out of the title race with our embarrassment at Chav Central). I have seen arguments put forward for Manchester City and for Liverpool. I have yet to see anyone make the case for Chelsea, but you never know. Man City are a really good team who play football in the right way. Most of their players seem pretty decent, as far as professional footy players go (only Na$ri really rates in the objectionable stakes). Their manager has never slagged off Arsenal or Arsene. Rather them than the Dark Blue Oilers and their festering pustule of a manager. Liverpool are playing good, entertaining football with real attacking verve. Unlike the Oilers they cannot be considered to have out-and-out bought the title if they win. A Liverpool victory would give hope to all the non Sugar Daddy teams and indicate that money doesn’t always win the day. Rather them than Liverpool, because we don’t want to establish the Dippers as serious rivals moving forward. Despite having lashed out gazillions, the Chavs have spent less in recent years than Man City, so a Chelsea win would show that it’s not just a case of he-who-spends-most. Their manager is a charmingly eccentric individual who adds colour to the tapestry of our favorite game. Others have specific “negative” reasons for not wanting one or more of the teams to triumph. For example, the classless comments of Liverpool chairman John Henry and manager Brenda Rodgers during the summer’s Suarez-to-Arsenal kerfuffle have left some Gooners adamant that they don’t want a Scouser victory. Others (I count myself in this group) would hate a victory for either of the Oiler teams simply because it reduces the EPL to battle of the bank balance. And just about everyone seems united in not wanting the ill-mannered Portuguese nitwit Mourinho to have the opportunity to gloat at season’s end. Well… let’s be having it. Vote for the team you would prefer to see win the title if not Arsenal (and please explain your reasons in comments). Many of us feared as we approached this match with trepidation could the team pick themselves up after a pretty poor week but more importantly would there be a commitment and desire to silence the growing number of critics. What was to unfold literally was a game of two halves. City were quicker to the ball and had us mostly pinned in our own half with most of their attacks aimed at our left side and at eighteen minutes the ineviatable happened when Silva bundled the ball over the line after a ricochet off our post and thoughts turned to another drubbing on the cards. The Home crowd were fantastic. Rosicky ran his socks off and even Podolski put in a shift but defending doesn’t come naturally to him – he could have won the game but at the end of the day we drew with honour but IMO it’s a game we could have won. Toure and Kompany had been booked in the first half which may have played on their mind but we didn’t have the know how to try and make them commit a second foul, as they are undoubtedly the drive and defensive rock of man city. Santi always plays better at Home and being two footed is wasted on the wing. Szczesny concerns me. In the first few minutes he cleared a ball which was inches away of being met by a City player and that could have been one nil down. He flapped again in the second half and in the melee we may have conceded an own goal. He needs competition for his place. I watched Giroud carefully and apart from one lay off he was completely useless. He can’t control a ball, beat a man, head on target, has no pace, and his long punt from the halfway line was embarrassing. He is the worst striker I have seen in an Arsenal shirt for years, despite his stats. I stress the point about him because at 1-1 a top quality striker would have got that vital goal and most probably won us the game. I know many will say he often gets no support but then I say change the system, or buy a clinical striker not an average hold up player. All in all a great game to watch and in all reality we could definitely win the FA Cup and it’s a straight fight for forth between us and Everton. I don’t expect you to agree with me with my observations, but if only a few of our walking wounded especially Ramsey and Koscielny could feature in our last three or four games that would bolster the team enormously and give us CL football yet again. There are 3 ugly blots on this season’s landscape (4 if you count a ref-assisted loss at The Orcs). Things didn’t go according to plan, some may say there wasn’t a plan. In each game our full backs went on the attack from the kick-off – over-confidence, planning or plain stupidity? Let’s start by looking at the players. Sagna is perhaps the most experienced right back in the PL, despite two broken legs he has played approaching 300 games for Arsenal. Gibbs has been at Arsenal since he was 14 (he is 24) and despite losing almost a season to injury has already played almost 150 first team games. It is inconceivable that their attacking actions were not tactical, as such it must be under Mr Wenger’s instruction. Why would he go to Liverpool, City and Chelsea intending to attack from the first whistle? It is all supposition but this smacks of Didit’s famous reverse psychology – let’s attack from kick-off, score early and then settle into the game. Or could it be that he feared the wing play of the opposition and wanted them to concentrate on their own defensive duties? I have no idea but I sincerely hope he continues his policy today. Over the season almost every blogger on AA has called for the team to come out the starting blocks fast and we are delighted (and surprised) when we score early. Should we tailor our tactics to the opposition and defend from the off against high quality teams? I like Man City, they have been my second team since the days of Colin Bell and Mike Summerbee but seeing Arteta score at the Emirates in 2012 was a highlight of that season. Wouldn’t it be great to see him do the same today? Thinking of which – do we play the Flamini/Arteta or will our new Swede get a start? My hope is that if he does, we will continue to play The Ox and not play 3 over 30 midfielders. Oh, here’s an unexpected stat – our below par centre forward has scored 5 times in his last 3 home games. Two more today please OG. 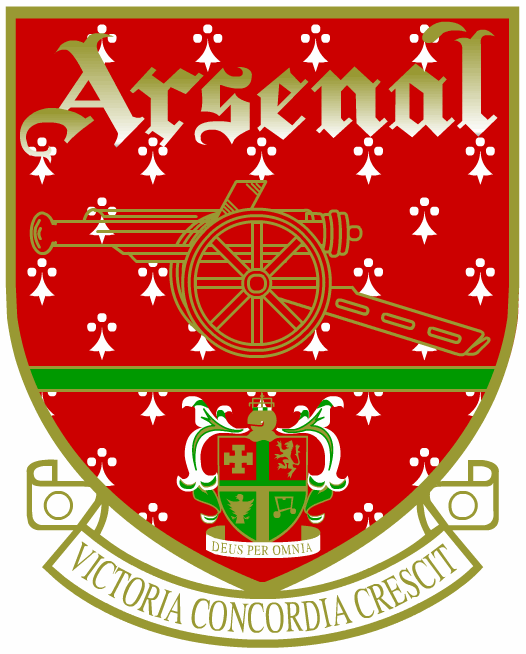 An Arsenal Blast from the Past No.7 – The Post War Years. On taking over from George Allison, Tom Whittaker enjoyed immediate success by leading Arsenal to their sixth League Division 1 Championship in 1947/48. Tom needed to start changing his team the aging stars in the squad could no longer keep up with the strenuous work routines. He brought in Doug Lishman, Alex Forbes and Cliff Holton but even with the new players Arsenal was unable to challenge for the league title. SF Replay Arsenal 1 Chelsea 0 after extra time with Freddie Cox scoring the winning goal. Both the Semi final and the Replay were played at White Hart Lane. In the final Arsenal met Liverpool at Wembley on April 29th 1950 in front of a crowd of 100,000 – although some reports claim 127,000 were at the game. 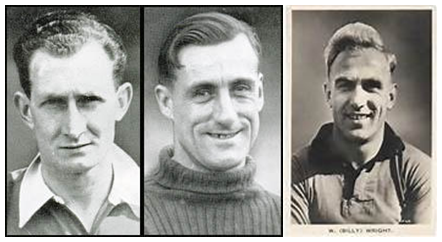 The Arsenal team consisted of : George Swindin, Laurie Scott, Walley Barnes. Alex Forbes, Leslie Compton, Joe Mercer, Freddie Cox, Jimmy Logie, Peter Goring, Reg Lewis and Denis Compton. Denis Compton was now nearing the end of his career as a footballer, he experienced an indifferent first half so during half time he was given a stiff brandy, in the second half he perked up and played a major part in a sparkling move which led to Reg Lewis scoring his second goal of the game. Arsenal won the game 2-0 to claim their third FA Cup trophy. Later in 1950 Leslie Compton became the oldest England debutant at 38 years and sixty five days in a game against Wales. Denis and Leslie were also Middlesex cricketers but Denis was more than just a first class player he was a brilliant batsman and scored over 123 centuries. 1951-52 saw the club nearly win their first Double, but it ultimately ended in disappointment; a series of injuries and a fixture pile-up at the end of the season saw Arsenal lose their last two matches, including the title decider against eventual champions Manchester United at Old Trafford on the last day of the season; the Gunners finished third, equal on points with Tottenham. A week later, Arsenal played Newcastle United in the FA Cup final, with several recovering players rushed back into the first team; Walley Barnes was taken off injured with a twisted knee after 35 minutes (no substitutes were allowed then), and ten-man Arsenal suffered further injuries so that by the end of the match they had only seven fit players on the pitch; Newcastle took full advantage and won 1-0. 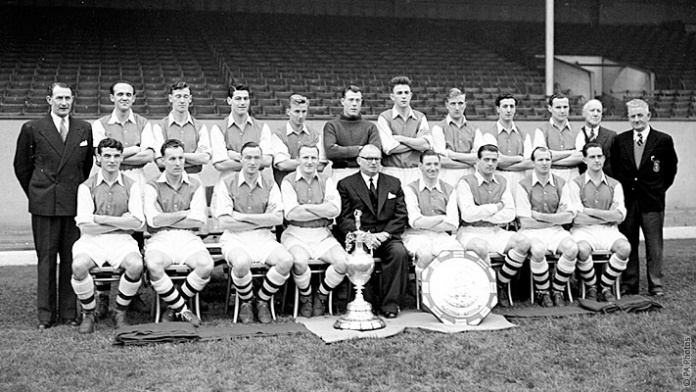 Unbowed by the disappointment of the previous season, Arsenal won their seventh League title in 1952-53; in one of the closest title races ever, they beat Preston North End to the title on goal average after finishing level on points. 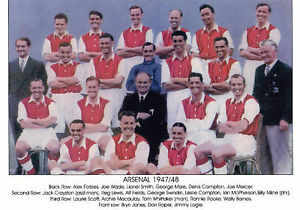 That proved to be Arsenal’s last trophy for seventeen years; unable to attract many stars, the club’s fortunes began to wane, particularly after the unexpected death of Tom Whittaker in 1956. Apart from finishing third in 1958-59, Arsenal usually figured around mid-table. 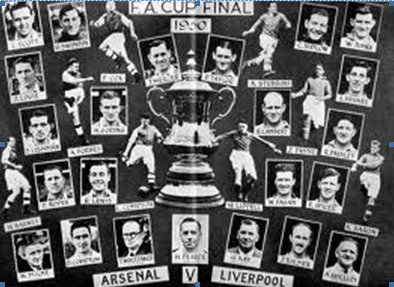 Nor did the club have much luck in the FA Cup – after reaching the final in 1952, Arsenal would not get beyond the quarter-finals again until 1971. Jack Crayston and George Swindin, both former players, followed Whittaker as manager but could not replicate his success. In 1962, Arsenal made the bold but ultimately unsuccessful step of appointing England legend Billy Wright as manager, despite his lack of managerial experience. Like his predecessors, Wright could not achieve much either, although it was under his leadership that the club made their debut in European competition, in the Fairs Cup after finishing seventh in 1962-63. In his final season, Arsenal finished 14th, their lowest position in 36 years, and recorded the lowest-ever attendance at Highbury (4,554). I know I should be over it by now but the 6 nil loss to chelsea has ramifications that go way beyond just the loss of 3 points. The only word I can come up with to describe the way we played in that game and the other two heavy losses is ‘irresponsible’. GoonerB and others have commented on how our performance against Swansea was evidence of the psychological effect on the team of such a heavy defeat. The games immediately after our other two drubbings were also drawn – so the loss of 3 points becomes 5. But beyond the fact that it is a graphic illustration of our vulnerability against top sides, there is a more potentially damaging effect to these losses. We’ve conceded 17 goals in 3 games to Liverpool, Man City and Chelsea (a net loss of 13 goals). Our goal difference is currently 19 whereas Everton’s is 16. They are 6 points behind us with a game in hand. If we lose to City by just one goal and they beat us at Goodison, we would be equal or behind them on goal difference – that could cost us 4th place. Everton are a team in the ascendancy and Arsenal are a team whose confidence is in shreds, and that in part is of our own making. It would appear that at no point in those games did we consider damage limitation – no, we continued to play into the opposition’s hands and they continued to punish us. The game against City is not just another 3 points. It’s our last chance this season to show that we can man up and go toe to toe with a top team and not capitulate if we go behind. A big loss to City and our season will be in freefall and Everton will be favourites to grab 4th place and Champion’s League football next season. Yet another Dismal Lacklustre Performance, but Why? When your team gets humiliated by Chelsea and the manager refuses to speak in public and also tells his players not to comment, it is reasonable to expect that he had told them in no uncertain terms to give a performance against Swansea, a team that has won only one of it’s last ten matches in all competitions. But what did we get? A totally lacklustre display for the majority of the game, with no pace, misdirected passes, continuous sideways and backward passes that absolutely infuriated me and others. We started at a snail’s pace and then with Swansea’s only real attack, Bony headed the Swans into the lead. (Were you watching Giroud, that’s how to head a ball.) The only player who attempted to drive forward and shoot was Oxlade – Chamberlain. We were a shambles and as I said in commentary it looked like an end of season match with nothing at stake. Subs were made and Podolski quickly made an impact. Gibbs managed to get in behind, wiggled his way into the box where he found Poldi waiting to slot home. Within seconds Giroud, who had an absolute mare of a game with Williams easily having him in his pocket, was found by Poldoski and scored our second. A sigh of relief, but yet again the lead didn’t inspire the team to put the game to bed and if anything Swansea gained momentum without causing us too much to be concerned about until the final minute when Szczsney spilled the ball and Flamini had the misfortune to give Swansea the equalizer. Many will point to the amount of injuries we currently have and now Koscielny is “out for a while”. I won’t go and list every players’ performance but however vital at the time Podolski’s goal was, he can’t defend and many a referee would have given a penalty on his totally unnecessary shove in the box to a player who was nowhere near the ball. Szczesny grinning when the equaliser went in, was totally out of order. Wenger said after the match “The team gave everything, their spirit was great,” added Wenger. “You wonder how we could draw a game like that, they had nothing in the end”. Well he must have seen a different game to me and in probability we will lose to a rampant City and even if we don’t we are back to familiar ground fighting for forth. I make Wenger and the whole team accountable for yet another dismal performance. The signs are not good and being favourites for the FA Cup will only add more pressure to a team who at this moment of time are unrecognisable of the team of two months ago.We haven’t got the motivation anymore and then on top of that the weakest bench to really change a game when required. I never expected us to win the league, but not at the back end of the season to play without conviction and “belief”, especially the games we surely should expect to win. Is it legal to kill a Swan? Given our home form we should and probably will beat Swansea. Does this make us “flat-track bullies” (where the hell did that ridiculous expression come from)? Who cares? Whether we lose to Stoke or Chelsea it is still 3 points lost, same goes for when we win. We beat Swansea away thanks to goals from Ramsey and Gnabry. Would that Aaron was fit tonight, but Serge is and I would love to see him start the game. Swansea: Small but fine club who are holding their own in the PL by playing attractive passing football. The Laudrup dismissal was odd but I have a sneaky feeling that Mr Laudrup is a difficult man to work with, like many Danes (by that I mean all) he is wilful and values his own opinion above that of anyone else; his sacking was inevitable as it would be if he ever got the job at AFC. Gary Monk seems to be doing a good job continuing to play the Laudrup way but they have won just once under his management. Michu is fit, Bony is a handful. Swansea press hard all over the pitch and when in possession are comfortable on the ball. The Swans were unlucky not to win at Everton and with a record of not having won away for 9 games will look to improve tonight, given that they beat us at THOF last season we must be alert BUT they are 15th in the PL and 33 points below us – we should win. Would you trust a front line of Gnabry and Sanogo? Seems foolhardy but why not? Then it comes down to whether we use Podolski or Cazorla and I love Cazorla! The bench still shows the effect of our horrible injury list. It is here that the injuries have hurt us so badly, we do not have to opportunity to rotate the injury free players with players of similar quality. Swansea: The town’s origins date back to the Vikings when it was known as Swein’s Ø (meaning Swein’s Island), this probably refers to the Viking King Swein Forkbeard who was the father of King Canute, of whom I could write a lot more but you would get bored! 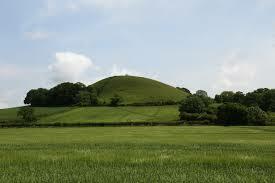 It became a borough in 1158. For 200 years (1700-1900) the town was the centre of the copper industry. Mr Wenger must approach this game with trepidation – a defeat and the fine atmosphere which has built throughout the season at The Emirates will return to the bile and spite of 2012. Draw at half-time and the boys will be booed off the pitch so it is imperative for the players to be alert from the kick-off and show that they hurt as much as the fans. And if you are going – for goodness sake get behind your club and make some noise. We have to win and win well.